Advances in solid-state lighting not only enable light emitting diodes (LED) to be a promising source for future lighting, but also make possible the use of visible light communications (VLC). VLC is desirable due to an unregulated bandwidth, no interference with the existing radio frequency (RF) systems. Consider a practical VLC system using the visible light spectrum from 380 to 780 nm to provide the dual-purpose of illumination and communication. Among the key building blocks are the run-length limited (RLL) code and the forward error correction code (FEC). Run-length limited (RLL) codes are widely used in visible light communications (VLC) to avoid long runs of 1’s and 0’s that potentially cause the flicker. This letter explores the serial concatenation of convolutional codes and Miller codes to simultaneously achieve forward error correction (FEC) and RLL control. Miller codes with high bandwidth efficiency are much ignored in practice due to their disappointing power efficiency. The novelty of this paper is that we identity the merit of this previously-unfavorable RLL code (i.e. trellis structure and soft-decidability), exploit some important coding principles (i.e. interleaved serial concatenation and soft-iterative decoding), and assemble it to a powerful turbo structure that makes it outperform the existing favorable choices. A modified BCJR decoding algorithm is developed for the proposed concatenation. Xuanxuan Lu received the B.E. degree from the School of Telecommunication Engineering,Beijing University of Posts and Telecommunications, Beijing, China, in 2008 and the M.E.degree in information and communication engineering from Zhejiang University (one of the topfive universities in China), Hangzhou, China, in 2011. She is currently pursuing the Ph.D. degreeat the Department of Electrical and Computer Engineering, Lehigh University, Bethlehem, PA,USA. Her research interests include signal processing for multiuser system, cooperativecommunications, and visible light communications. She served as a reviewer for the famousjournals in the field of communication engineering, like IEEE TRANSACTIONS ONWIRELESS COMMUNICATIONS, IEEE TRANSACTIONS ON COMMUNICATIONS and soon. She also served as a TPC member and reviewer for the international conferences in her area.She was the recipient of Lehigh University Dean’s Doctoral Student Assistantship from 2011–2012, and Rossin Doctoral Fellowship from 2013-2014. She has a solid technical backgroundand a strong desire to become an accomplished scholar. 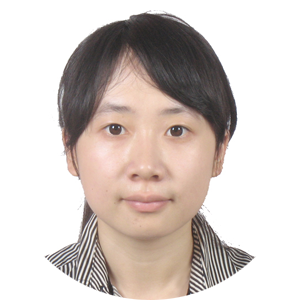 She is very sincere about research, quickto grasp new ideas and concepts, well-organized, and hard-working. Her proliferate work hasalready resulted in more than 20 papers published in international top journals and conference.Her work is widely cited by the researchers in the same area.